Meghan, 37, spent time with her best friend, stylist Jessica Mulroney. Duchess Meghan made a secret trip to Toronto to visit her best friend, visionary style consultant and entrepreneur Jessica Mulroney. Meghan, 37, who traveled without Prince Harry, flew commercial round-trip to Toronto for the three-day trip, ABC News has learned. (George Pimentel/WireImage via Getty Images, FILE) Jessica Mulroney and actress Meghan Markle attends the Instagram Dinner held at the MARS Discovery District, May 31, 2016. in Toronto. Meghan and Jessica, who met while Meghan lived in Toronto while filming “Suits,” also had a chance to catch up with old friends during Meghan’s under-the-radar visit. “There was one evening when Meghan and Jessica secretly headed out into the town to meet some of Meghan’s old, good friends,” Scobie said. Mulroney and her family played a starring role in Meghan’s May wedding to Prince Harry on the grounds of Windsor Castle. Mulroney and her husband sat in the front row at the wedding, across the aisle from the royal family. Their twin sons, Brian and John, served as page boys in the wedding and their daughter, Ivy, was a bridesmaid. (DJane Barlow/Getty Images, FILE) Princess Charlotte of Cambridge, Catherine, Duchess of Cambridge, Jessica Mulroney, Ivy Mulroney, Florence van Cutsem, Zoe Warren, Zalie Warren, Benita Litt, Remy Litt and Rylan Litt arrive at St George's Chapel at Windsor Castle for the wedding of Prince Harry and Meghan Markle in St George's Chapel at Windsor Castle, May 19, 2018, in Windsor, England. Brian and John, 7, memorably held the train of Meghan’s Givenchy dress as she walked up the steps of St. George’s Chapel. Mulroney, also a bridal consultant, assisted Meghan with planning her high-profile wedding. She has also continued to consult her best friend on style choices for high-profile royal engagements. Meghan wore a $595 tuxedo dress by a Canadian designer, Judith and Charles, when she and Harry attended a gala performance of “Hamilton” Wednesday in London. 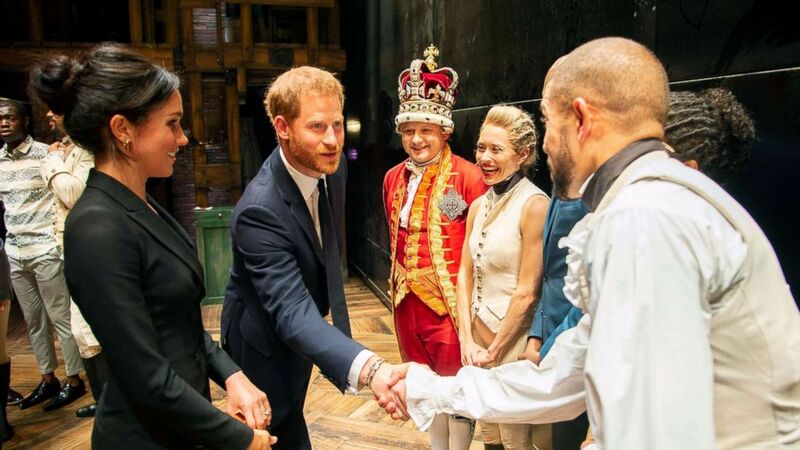 (KGC-375/starmaxinc.com via Newscom) Prince Harry and Duchess Meghan Markle of Sussex after the performance meeting cast and crew backstage at the Victoria Palace Theatre, London, Aug. 30, 2018. 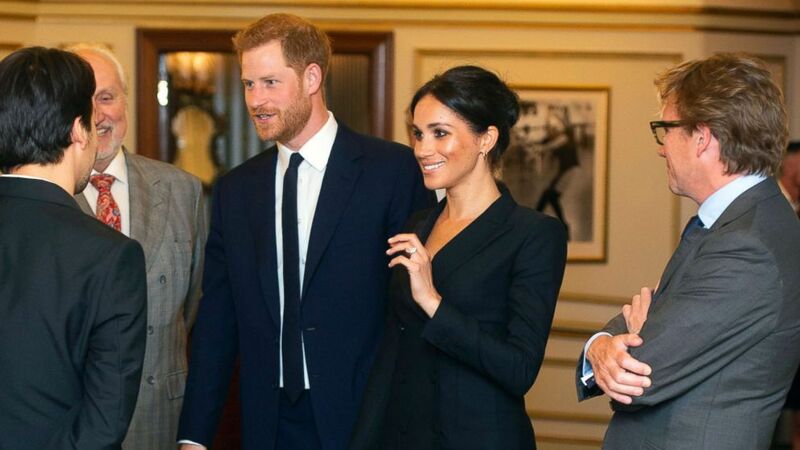 The performance, which benefited Harry’s charity Sentebale, was the couple’s first public event after enjoying a few weeks out of the public eye. Harry and Meghan visited Prince Charles’s Castle of Mey in Scotland and also enjoyed an Italian getaway at the Lake Como home of George and Amal Clooney. 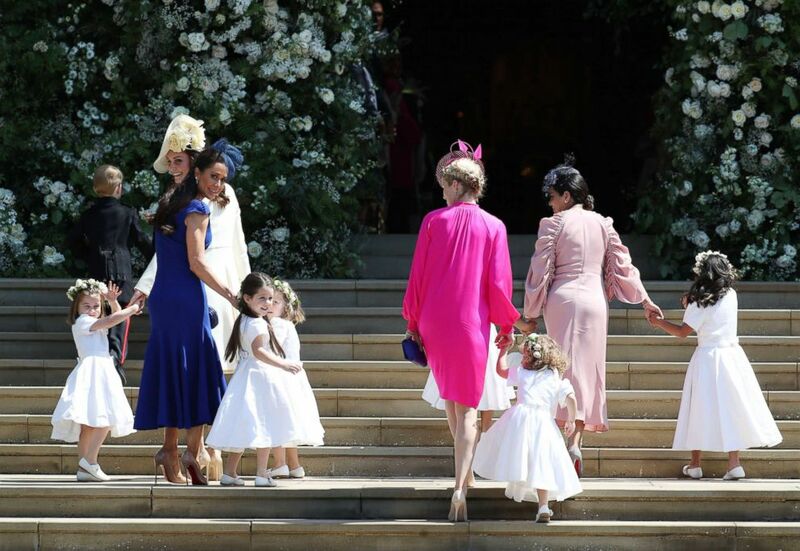 The 7-year-old sons of Meghan Markle's friend walked her up the church steps. Mulroney is based in Toronto, where Markle lived while filming "Suits." The couple is now preparing for a busy fall schedule that will include their first major royal tour. Harry and Meghan will visit Australia, New Zealand, Fiji and Tonga on behalf of Queen Elizabeth and the Foreign & Commonwealth Office. Next spring, Meghan and Harry are scheduled to make their first tour to the United States at the request of the U.K. Foreign Office and the British government. (Dan Charity/Pool Photo via AP) Prince Harry and Meghan, Duchess of Sussex attend a gala performance of the musical Hamilton, Aug. 29 2018. Meghan reportedly has no plans to visit her father, Thomas Markle, who has caused tension with her by speaking to the press. “There have been reports that Meghan was planning to secretly fly out to Mexico to spend time with her father but right now she has absolutely no plans to see him,” Scobie said.